John loves his job as head rigger for Cirque Brilliance. The heavy scarring over half his face makes it a little hard to meet new people, but John's got a good crew and a nice found family, and he’s content with his lot in life. 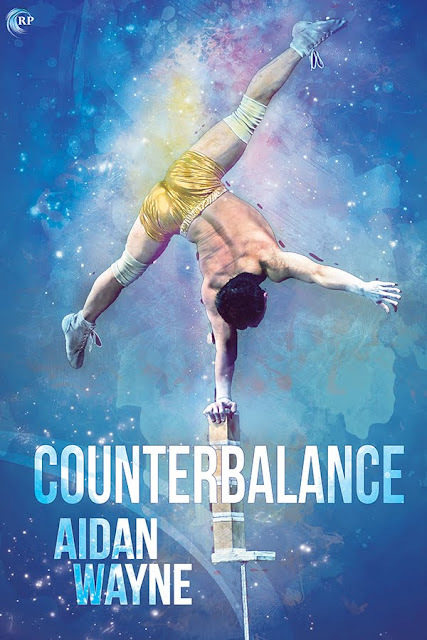 When Cirque hires talent for a new show, John meets Bao, a bright, ever-cheerful acrobat. Bao seems drawn to John and becomes a constant presence at his side—talking to him during downtime, spending time with him at lunch, and generally seeking out his company. John doesn't know what to make of this. Sure, he likes Bao—maybe a little too much, honestly—but he’s had enough experience to know that Bao couldn’t possibly like him back. Or so he thinks, anyway. Fortunately, Bao seems determined to prove him wrong. To celebrate the release of Counterbalance, one lucky winner will receive $20 in Riptide Publishing credit! Leave a comment with your contact info to enter the contest. Entries close at midnight, Eastern time, on September 17, 2016. Contest is NOT restricted to U.S. entries. Thanks for following the tour, and don’t forget to leave your contact info!